Excellence is a Moving Target – I | Fourth Dimension Inc. When you have just won the business equivalent of the Nobel, the Booker, the Oscar, and the Olympics rolled into one, you could justifiably feel proud. But 45-year-old Venu Srinivasan, the CEO of the Rs.140-crore Sundaram-Clayton, India’s and non-Japan Asia’s first-ever winner of the Deming Application Prize For Overseas Companies – still view the summit as a destination to be reached, not a peak already conquered. 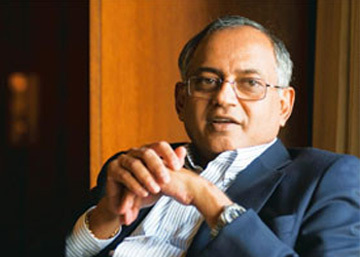 His company may have won the globe’s benchmark award for total quality, but Srinivasan remains fixated on being the best in the world – and not just the best on quality parameters. Mr. Srinivasan, our congratulations on Sundaram-Clayton’s remarkable achievement of winning the Deming Prize. We are thrilled by the fact that an Indian company has shown that it too can be world-class. How do you feel now that your processes have received the top-most recognition for total quality in the world? Afraid. Because the expectations – from your customers, and from everybody in the industry – go up. Everybody thinks you are a superman whereas you are just a hard-working, diligent, good-value company. Everybody thinks that you are a Deming Prize-winner, and so you must be capable of miracles. But we are no miracle-men. Even Deming said that only the processes in your company can take you to world-class levels. But winning the Deming Prize does not mean that your present benchmarks are world-class – either in terms of productivity or quality. But you must be proud of being a TQM pioneer. After all, you started working on total quality in the mid-1980s, well before the first companies in the country did. How were you able to identify the need for total quality, and push ahead to achieve it? When you have worked in a family like the one that runs the TVS Group, when you have worked with a set of extraordinary uncles, when you have grown up with stories of excellence, you just try and match those standards. Even when I was doing my MBA at Purdue University (US), I tried to link whatever I was learning with the value systems of excellence, and to figure out how it could be linked to our businesses to achieve excellence. If it is not excellence, it is not TVS. I have been brought up with so much of this that there is just one way of doing things. In TVS, the system is even more sacred than the owners. The organisation is sacred, and its values are sacred. This is the question your peers must be waiting for an answer to. What exactly is Sundaram-Clayton’s definition of total quality? Quality is a multi-faceted body and, in some ways, is like the story of the blind men and the elephant. It means different things to different people, and there is no one definition. However, in the context of total quality control (TQC), what total quality means is trying to achieve excellence in everything you do. To me, that’s the ultimate definition of quality. Because quality is difficult to define, people find it difficult to implement. It has to be supported by an excellent human resources package for communication, motivation, and the development of people who, then, take ownership of quality and everything that is done and, only then do you try to implement quality in all activities. The Japanese gave total quality, as we know it today, to the world. Is that what made you opt for the Japanese model of TQM? India’s industrial history in a competitive environment is just 10 years old. For 30 years – from 1960 to 1990 – we had a system where you totalled your costs, and added your margins to determine your selling-price to the consumer. For 30 years, people did not have to manage costs or quality. There were no imports, and no competition, thanks to licensing. So, how did you build your own system of excellence? How could you build a framework to hold your own processes of excellence? For that, we needed a structure. And we found that structure in Japan. We found that TQC had a structure which, in many ways, resembled the way TVS was run in the 1940s and the 1950s. For instance, we had zero-breakdowns of TVS buses in the 1950s. Every TVS bus was on time, to the minute; there was complete ownership by the employees. So, you can imagine the kind of values that the management had inculcated in its people; everybody worried everything. Now, all that I have seen in TVS is excellence, right from the time I used to work as an assistant mechanic during my summer holidays when I was in college. The only other place where I could see excellence organised the way it was in TVS was in Japan. Secondly, Asian values have a certain commonality across countries in the way respect is accorded to elders and to authority. That’s why I thought we could adopt the Japanese way more easily because of these cultural factors. And because of the fact that codified rules were available in Japanese TQC. Whereas, in the US, each company had its own code, and nobody would be willing to share them. So, we would have had to go around getting it in bits and pieces. It would take longer than we could afford if we had chosen the American approach. As it is, even Japanese TQC has taken us 10 years to get to where we are today. That brings us to the central issue: how is Japanese TQC different from other forms of quality management? The biggest misconception that people have about TQC is that it is about product quality. It is not. It is about the quality of all the business processes – and not just about the quality of the product. That’s why I prefer to call it TQC – and not TQM – because TQC is the old Japanese way of involving everybody in quality. From the moment you step into the plant, everything must be right: the grass must be cut properly; the canteen floor must be cleaned properly. TQC is an all-round excellence effort, and is not about one aspect of the company. One person who has been closely associated with your quality journey is Yoshikasu Tsuda. In fact, you refer to him as Sundaram-Clayton’s guru. What exactly has he done for your company? As soon as I met Professors Tsuda, and Y. Washio – who is no more – I told them: “You are our gurus. You are not our teachers, you are not our consultants. We will deal with you in the traditional Indian, or Asian, way of doing what the guru says. Even if we don’t like or agree with what you are saying, we will go ahead and do it.” Rather than argue with our gurus, we did just as they said. And, if there was a problem, we went back and told them: “Look, we did what you told us to do, but there is a problem.” I think that’s the reason why the Japanese like working with us. Usually, Indians love to get into intellectual arguments – why this will work, why that won’t. But we never let that happen at Sundaram Clayton. If Professor Tsuda said something, we just did it. Initially, there was a lot of unhappiness about it. But when the professors saw that we were committed and doing what they told us, they also started giving us the leeway to do it our way. Others helped us too. For example, when it came to technology, product technology, business strategies, and human resources, we took help from the University of Warwick’s S.K. Bhattacharya, S. Ramachander of the Academy for Management Excellence helped us with marketing. But full credit goes to Professors Tsuda and Washio. They worked with us directly. Did you find TQC a little alien to the Indian context? Should an Indian company build its own set of quality practices around the concepts of TQC? What, then, is the Sundaram-Clayton Way of total quality that you went on to craft? I don’t think I’m the only one who can answer that question. You have to ask the people who work on the shopfloor, because they will give you a better answer than I can. But I can relate one incident that brings out the TVS Way. I happened to meet a retired chairman of Cochin Refineries on board a flight recently. Apparently, as a young boy, this gentleman used to take the TVS bus to go to school. One day, the bus was late by 5 minutes because the conductor overslept. Enraged, one of the passengers slapped the conductor. When a few other passengers chided the angry person for having hit the conductor, they were surprised to find the conductor himself intervening, saying that he deserved the slap he got. For, he had brought disrepute to the TVS name. Now, what is this if not ownership of quality? Now that you have won the Deming Prize, does Sundaram-Clayton consider itself world-class? Everybody will now have high expectations of Sundaram-Clayton, and we have to be very careful in meeting those expectations. We know that what we have on our head is not a crown, but a big boulder called the Deming Prize. But there’s a long, long way to go before we can attain the international benchmarks of quality. For instance, we have to reach a defects standard of 60 parts per million (PPM) at the customer-end, which is the Japanese average. How do you get there? Today, we are doing 5,000 PPM at our end. That figure has to come down to 150 if I have to deliver 60 to my customer. So, there are a lot of gaps. In terms of productivity per employee, we are, probably, half the world average. Many of our business processes, like after-sales service and customer-satisfaction management, are not strictly world-class. But we have put in practices, we are working on it, and we’ll get there. Winning the Deming Prize actually creates expectations which are beyond your present abilities. Internally, we are very pleased. It’s like giving birth to a child. No matter how great the labour-pain, once the child is born, it is pure joy. But everybody equally realises that there is a long way to go. Excellence is a moving target. Somebody defines excellence and, within 2 years, somebody else has redefined it by moving its horizon. Excellence is something you have to strive for every day. The moment you stand still, you have lost it.